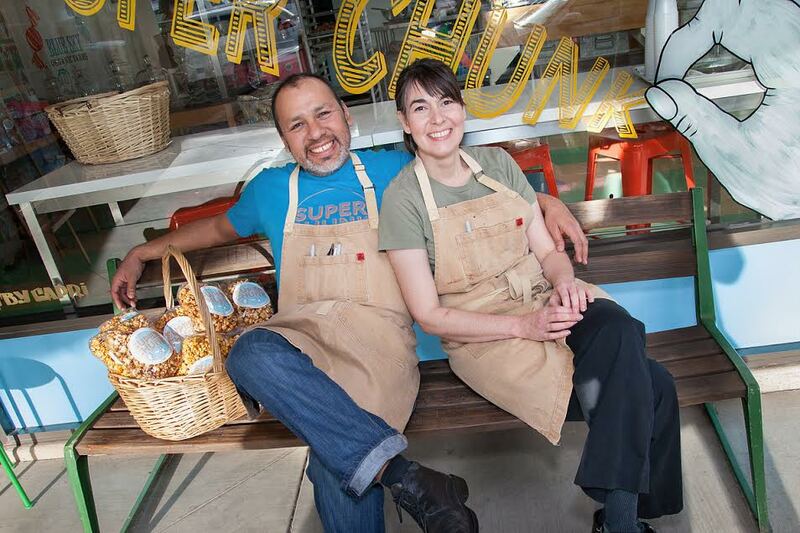 Sergio and Country Velador have already redefined the “mom and pop” sweets shop with their nationally recognized Super Chunk Sweets & Treats in Old Town Scottsdale. They’re now set to open a sister concept that will herald in what they’re calling a new wave of tradition. New Wave Market (7120 E. 6th Ave. #20) will adjoin Super Chunk and add 1,100 square feet of retail space where the duo will offer an expanded menu of breads and baked goods, lunch, house-made ice cream and locally roasted coffee. The market will also have a selection of quirky and unusual retail products and space for regular classes on baking and other crafts. The market will be filled with the odd, the unique and the delicious sourced with products from small batch makers around the world. Expect foods from brands like American Spoon, COOP’s MicroCreamery and Curio Spice Co, and household items and gifts from designers like Funko, Fishs Eddy and Imm Living. The highlight will continue to be Velador’s fresh-baked goods. Country plans to offer savory breads, take away lunch items and specialty ice cream with house-made cones and toppings. New Wave Market will also serve espresso coffee drinks and nitro cold brew from local roaster Piexoto. New Wave Market is currently under construction and expected to open this month. Find New Wave Market at 7120 E. 6th Ave. #20 in Scottsdale, online at newwavemarket.com and on social media @newwavemarket.